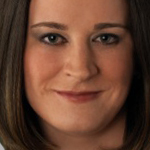 Sarah E. Vollbracht, MD, FAHS, is clinical director of the Montefiore Headache Center, headache fellowship program director, and associate professor of neurology at the Albert Einstein College of Medicine in Bronx, New York. She earned her medical degree from New York University School of Medicine, completed an internal medicine internship at Beth Israel Deaconess Medical Center in Boston, Massachusetts and a neurology residency at the Albert Einstein College of Medicine/Montefiore Medical Center, where she was a chief resident. She subsequently completed a fellowship in headache medicine at the Montefiore Headache Center. Dr Vollbracht is a diplomate of the American Board of Psychiatry and Neurology, and is certified by the United Council of Neurologic Subspecialties in headache medicine. 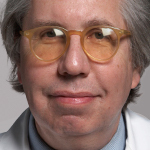 Mark W. Green, MD, FAAN, is the director of headache and pain medicine, and professor of neurology, anesthesiology, and rehabilitation medicine at the Icahn School of Medicine at Mount Sinai in New York, where he is also the vice chair of neurology for Professional Development and Alumni Relations. He is certified in neurology by the American Board of Psychiatry and Neurology, and in headache medicine through the United Council for Neurologic Subspecialties. Dr Green has been active in the practice of headache and facial pain since 1978, lecturing throughout the world on this subject, and authoring numerous articles on topics concerning headache and facial pain. He received his medical degree from the Albert Einstein College of Medicine, where he also received his neurology training. Migraine headache is a common, disabling neurological disorder affecting nearly 40 million individuals in the United States. Migraine is frequently encountered in the primary care setting and is the fourth leading cause of Emergency Department visits. Nearly 90% of migraine sufferers experience moderate-to-severe pain during an attack and 75% have reduced ability to function normally during a migraine. Despite its well-established morbidity, disability and burden of disease, migraine remains poorly understood, with a high number of patients underdiagnosed and untreated; only a small number take migraine prophylaxis. Although therapies are available to treat migraine, many are associated with adverse effects and suboptimal response when used prophylactically. Thus, clinicians face a number of challenges in managing migraine. Importantly, the development of CGRP monoclonal antibodies offers promise in managing migraine headache. However, clinicians must be intimately familiar with these agents and how they can be best incorporated into daily clinical practice for patients with migraine headache. Clinician education on these promising therapies, as well as education on the recognition, diagnosis, overall disease management and strategies to address patient nonadherence, will greatly improve outcomes in patients with migraine headache. This activity is supported by educational grants from Alder BioPharmaceuticals, Inc., Allergan, and Teva Pharmaceuticals. This program is intended for neurologists, headache specialists, pain specialists and primary care clinicians, including those specializing in internal medicine and family medicine, as well as physician assistants, nurse practitioners and other health care providers who manage patients with chronic migraines. There are no fees to participate in this activity. To participate in the activity, go to www.NeuroSeriesLive.com or www.PainCareLive.com. To receive credit, participants must (1) read the target audience, learning objectives, and disclosure statements, (2) complete the educational activity online, and (3) complete the post-test and activity evaluation. To receive AMA PRA Category 1 Credits™, participants must receive a minimum score of 70% on the post-test. March 29, 2019 from 12:00pm – 1:00pm ET. It is the policy of Icahn School of Medicine at Mount Sinai to ensure objectivity, balance, independence, transparency, and scientific rigor in all CME–sponsored educational activities. All faculty participating in the planning or implementation of a sponsored activity are expected to disclose to the audience any relevant financial relationships and to assist in resolving any conflict of interest that may arise from the relationship. Presenters must also make a meaningful disclosure to the audience of their discussions of unlabeled or unapproved drugs or devices. The information will be available as part of the course material. Mark W. Green, MD, FAAN Has nothing to disclose relevant to this activity. Lauren R. Natbony, MD Has nothing to disclose relevant to this activity. David Howard, Medical Director Has nothing to disclose relevant to this activity. Alissa Yost, Program Manager Has nothing to disclose relevant to this activity. This activity has been planned and implemented in accordance with the accreditation requirements and policies of the Accreditation Council for Continuing Medical Education (ACCME) through the joint providership of the Icahn School of Medicine at Mount Sinai and PlatformQ Health Education. The Icahn School of Medicine at Mount Sinai is accredited by the ACCME to provide continuing medical education for physicians. The Icahn School of Medicine at Mount Sinai designates this live activity for a maximum of 1.00 AMA PRA Category 1 Credits™. Physicians should claim only the credits commensurate with the extent of their participation in the activity. The Icahn School of Medicine at Mount Sinai designates this enduring activity for a maximum of 1.00 AMA PRA Category 1 Credits ™. Physicians should claim only the credits commensurate with the extent of their participation in the activity. The materials presented here are used with the permission of the authors and/or other sources. These materials do not necessarily reflect the views of the Icahn School of Medicine at Mount Sinai any of its partners, providers, and/or supporters. The Icahn School of Medicine protects the privacy of personal and other information regarding participants and educational collaborations. The France Foundation will not release personally identifiable information to a third party without the individual's consent, except such information as is required for reporting purposes to the ACCME. For questions regarding the content of this activity, contact the accredited provider for this CME/CE activity at cme@mssm.edu. For any technical issues or issues with your CME Certificate, please contact NeuroSeriesLive at 877-394-1306 or at Support@NeuroSeriesLive.com or PainCareLive at 877-394-1306 or at Support@PainCareLive.com.